Craig Alexander is the incoming Vice President, Economic Analysis at the C.D. Howe Institute. 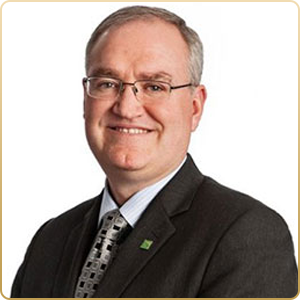 Previously he was Senior Vice President and Chief Economist for TD Bank Group. In that role, he managed a large team of economists that supported all of the divisions and clients of TD – the second largest bank in Canada and the eighth largest bank in the United States. Mr. Alexander has 19 years of experience in the private sector as an economic and financial forecaster. He is also a regular commentator on public policy and a sought after public speaker. Prior to joining the private sector, he spent four years as an economist at Statistics Canada. Mr. Alexander is a strong advocate for the cause of literacy and is a champion of the charitable sector. He serves on the Board of Directors for several non-profit groups. He is a Trustee of two pension plans. A former two-term President of the Canadian Association for Business Economics and a current board member for the National Association for Business Economics, he holds a graduate degree in economics from the University of Toronto.